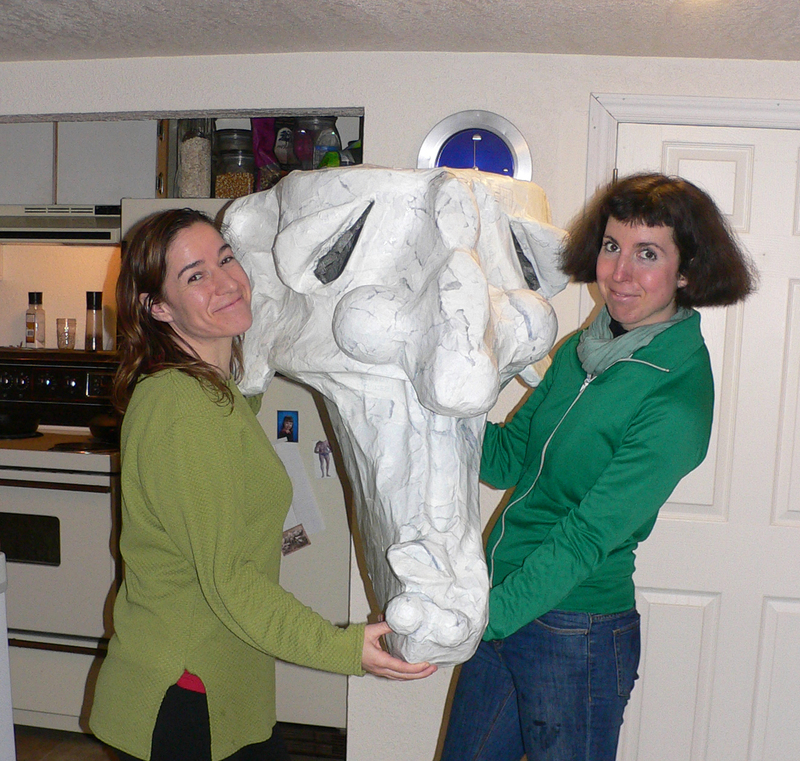 Although Leona has been making giant puppets for more than ten years now, many planned parts of Olio will be firsts for both Leona and Leah. In the past Leona enjoyed the fact that paper mache could be as strong as wood and found that 15 layers of alternated newspaper and brown paper bags made a very strong puppet… strong and unfortunately heavy. Thus with Olio we are experimenting with only five or six layers of paper mache to accommodate for the heavier elements that will be added to the puppet later on… again in the spirit of experimentation.